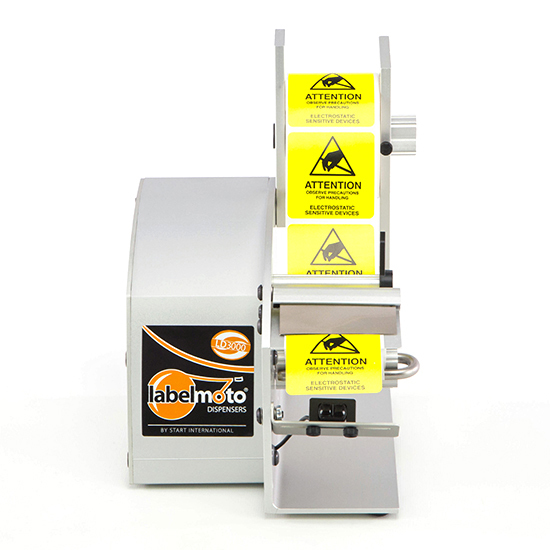 The START International LD3000-ESD Electrostatic Dissipative Electric Label Dispenser, dispenses small labels and die-cut parts made from paper, polyester, vinyl, acetate, foam, foil, and other materials, and is designed for small work areas. LD3000-ESD has a photosensor, which ensures that the unit peels, dispenses, and advances the label roll accurately and consistently. 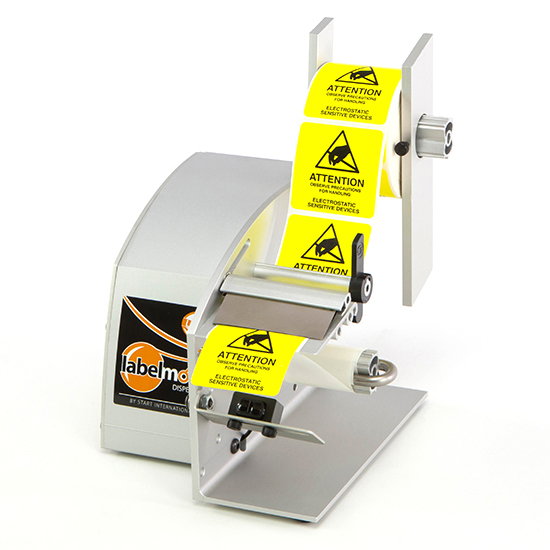 The liner scrap is automatically rewound for a clean working environment. No tools are required to adjust the dispenser for different label sizes. Up to 8 dispensers can be daisy-chained to other LD3000 dispensers to operate as a single dispenser and dispense different labels at the same time. The dispenser housing is made from anodized aluminum for durability. 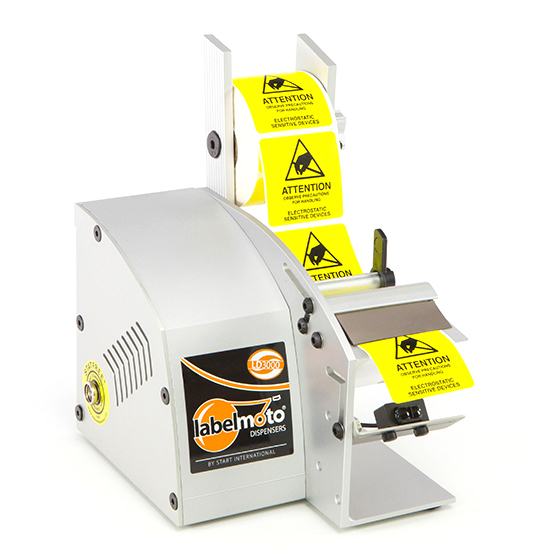 The LD3000-ESD label dispenser operates on 12 VDC, using an included 100-240V AC universal transformer. This label dispenser is made in the U.S. It is has an Anti-Static surface and is used for highly sensitive electronics to meet electronic industry standards.